Rosemary Galanda Jenkins has left an In Memory comment for Larry Snyder. So sorry to hear about his passing. God speed. Rosemary Galanda Jenkins posted a message. New comment added. Happy Birthday and many more. Keep up all the great work you do! Rosemary Galanda Jenkins posted a message on Alvin Sasuga's Profile. New comment added. Cathie Wilson Post added a photo to her profile gallery. New comment added. Happy Birthday, Cleoan, and many more exciting ones! Rosemary Galanda Jenkins posted a message. Happy Birthday and many more. We should look forward to many good years ahead. Ronald Thomson posted a message. New comment added. Cathie Wilson Post posted a message. New comment added. Happy Birthday Wishes to you Bob! Enjoy!?? Cathie Wilson Post posted a message. Sending you Happy Birthday Wishes! Welcome to the 70 club!???????? Another year has rolled around. Turning 70 made me happy. I hope you feel the same! Happy Birthday and many joyful ones ahead. 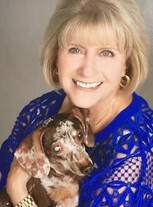 Barbara Rineman Fairbanks changed her profile picture. New comment added. Ronald Thomson posted a message. Happy Birthday Randy. Hope you enjoy your day.